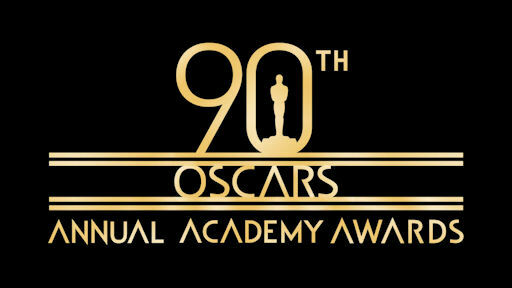 The 90th Academy Awards ceremony is growing agonisingly close and the film industry is on tenterhooks to see who will seize glory. Jimmy Kimmel is returning to host Hollywood’s most celebrated event of the year at the Dolby Theatre in LA on March 4 and speculation is raging among fans over who will win coveted gongs. Last year, “La La Land” swept the board with six Oscars, but a monumental mistake surrounded the Best Picture winner. Damien Chazelle’s musical drama was announced as the winner, only for the organisers to reveal there had been an error and that “Moonlight” was the actual victor. They will be praying for a smoother ceremony this time around, while Kimmel will bid to navigate the comedic tightrope stretched between roasting stars and paying heed to the sexual harassment scandal gripping the industry. It should prove to be a fascinating event, but the main drama will surround the actual winners of the awards, which catapult the recipients to superstardom. Last year, “La La Land” and “Moonlight” went into the show vying for supremacy, and this year two more heavyweight contenders are bidding for glory. “Three Billboards Outside Ebbing, Missouri” has dominated the awards season so far, winning the Golden Globe and Screen Actors Guild titles among others. 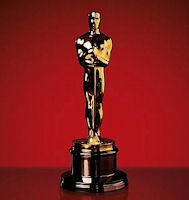 But director Martin McDonagh has been snubbed in the nominations for Best Director at the Academy Awards. That has opened the door for Guillermo del Toro’s genre bending, interspecies romance “The Shape of Water” to become the frontrunner heading into the show. Check Betonline for all the odds on Oscar nominations and you will see that “The Shape of Water” is now the odds-on favorite, while “Three Billboards” is out at the 2/1 mark. However, the Academy Awards regularly springs surprises, so “Three Billboards” still stands a chance, and some bettors even like the look of Christopher Nolan’s war epic “Dunkirk” at huge odds of 40/1 to take the main prize. The markets for individual glory are a lot less open. Frances McDormand has been invincible so far during the awards season and has been showered with praise and prizes for her portrayal of a furious, bereaved mother in “Three Billboards.” It is a remarkable performance from a star that last won an Oscar in the 1990s, for “Fargo,” and she is the huge odds-on favorite to win Best Actress. Saoirse Ronan, dubbed the new Meryl Streep by industry insiders, is given an outside chance of success for her role in “Lady Bird,” but McDormand has one hand on the Oscar. The betting for Best Actor is even more of a one-horsed race, as Gary Oldman looks all but certain to cap a glorious career with a first Oscar. He slathers on the makeup and gives an incendiary turn as British wartime leader Winston Churchill in “Darkest Hour.” Another rising star, Timothee Chamolet, might make things interesting, as could Daniel Kaluuya for “Get Out” and perennial Oscar winner Daniel Day-Lewis, who is bowing out of Hollywood with his Oscar-nominated role in “Phantom Thread,” but it is hard to see any of them usurping Oldman right now. Sam Rockwell is the odds-on favorite for Best Supporting Actor after giving a career best performance as a racist cop in “Three Billboards,” but beware Willem Dafoe, who is brilliant in “The Florida Project.” Allison Janney is heavily tipped to win Best Supporting Actor for her role in “I, Tonya,” but Laurie Metcalf in “Lady Bird” will run her close. “Dunkirk” and “The Shape of Water” should do well in the technical categories, and “Blade Runner 2049” is strong in that field, too. Ultimately, it will come down to that battle for the main prize between “Three Billboards” and “The Shape of Water” and right now it is advantage fish. “Like” It’s Just Movies on Facebook at http://www.facebook.com/itsjustmovies. Battle of the Spies: Who’s the True King? It's Just Movies © 2019 All Rights Reserved. WordPress 5.1.1 .